OUAT - Minnie Mouse in Snow White's Nursery? Did you see it? 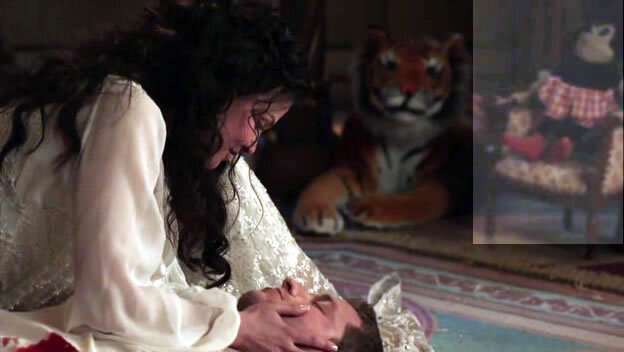 OUAT – Minnie Mouse in Snow White’s Nursery? Did you see it? I had read somewhere that there was a Minnie Mouse visible in Snow White’s nursery they were preparing for Emma. Here is a pic of it. I brightened up the corner where the Minnie Mouse is sitting. This entry was posted in Once Upon a Time Blog and tagged abc tv, comparison, disney, easter eggs, magic dust vial, minnie mouse, once upon a time, pilot episode, screencap, snow falls, snow white, the evil queen on November 23, 2011 by Admin of Storybrooke ;).